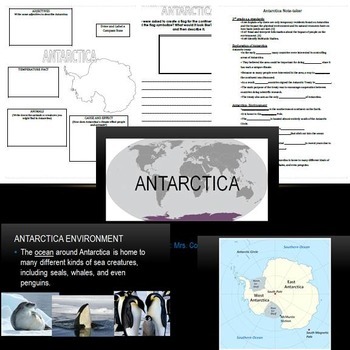 I have created an interactive power-point with 30 slides to cover all of the Antarctica standards for 3rd grade social studies plus additional information. It is very interactive and the kids love it! Can be used for any grade level. I have included videos from YouTube that have been converted to "viewpure" so there are no advertisements. All materials were pulled from their studies weeklies, studyisland, and google for an easier way to teach Antarctice using one product. The power-point includes an interactive quiz at the end for the students to take. -a create-your-own flag for Antarctica activity. Feel free to change the order of the power-point as you see fit. Please leave feed-back if your students loved it or if there is something I can do better :) Let me know if any of the video links did not work!